Tens of millions in India cast their ballots on Thursday, the beginning of the first phase of the colossal general elections in the country, home to the world’s most populous democracy where Prime Minister Narendra Modi’s Hindu-nationalist Bharatiya Janata Party (BJP) is already considered the front-runner. Tens of millions of Indians have voted on the first day of a general election that is being seen as a referendum on Prime Minister Narendra Modi. 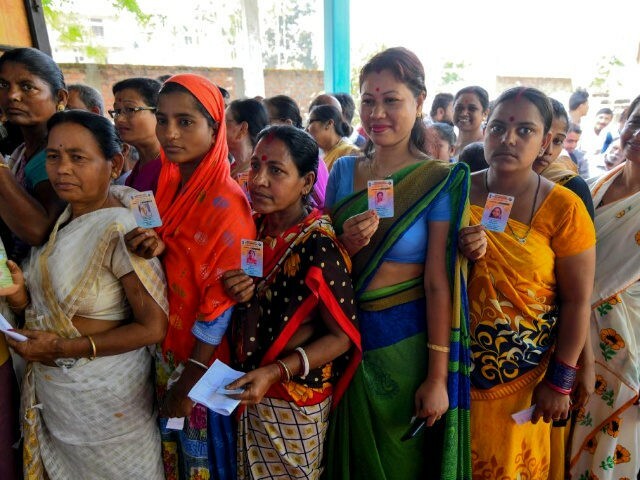 Indians in 20 states and union territories cast their ballots in 91 constituencies. The seven-phase vote to elect a new lower house of parliament will continue until 19 May. Counting day is 23 May. With 900 million eligible voters across the country, this is the largest election ever seen. On Thursday alone, more than 140 million people were reportedly eligible to vote. Voters “concerns ranged from jobs and unemployment to India’s role in the world and national security” on the first day of the general election, BBC reveals. In the days leading to the start of the vote, several pollsters placed Modi, who won a historic landslide in the 2014 elections and is seeking a second term, and his BJP party ahead of the other contenders. Prime Minister Narendra Modi is seen as the front-runner, campaigning on his national security record. … Pollsters say Modi’s ruling Hindu nationalist Bharatiya Janata Party (BJP) has been riding high on his tough stance against Pakistan, after aerial clashes between the nuclear-armed neighbors followed a February attack by an Islamist militant group that killed 40 Indian paratroopers in disputed Kashmir. “Several opinion polls published in the days before voting started all predict that the BJP along with its allies will be comfortably ahead of the Congress coalition [opposition], even if some of them did not give the National Democratic Alliance an outright victory,” India’s Scroll news website adds. Echoing other assessments, the New York Times (NYT) argues that, under Modi, a surge of Hindu-nationalist sentiment in India — which stands against Muslims and Christians — has further divided the country. When Narendra Modi, India’s prime minister, was elected in 2014, it was with broad support for his sweeping promises to modernize India’s economy, fight corruption and aggressively assert India’s role in the world. Five years later, he is widely seen as having made at least some progress on those issues. But over the past five years, his bloc, the Bharatiya Janata Party, or B.J.P., has been spreading an us-versus-them philosophy in a country already riven by dangerous divisions. The Hindu right has never been more enfranchised at every level of government. Despite the BJP’s lead in the polls, it is expected to face at least some challenges from the opposition, particularly a resurgent Congress party led by Rahul Gandhi. “Mr Gandhi’s father, grandmother and great-grandfather were all Indian prime ministers. His sister, Priyanka Gandhi, formally launched her political career in January,” BBC points out.